Fix bad broadband - Which? Broadband is an essential part of modern life. Yet the service many of us get simply isn’t good enough. and help us highlight areas with connection issues across the UK. Fast and reliable broadband is crucial in this digital age. Yet, in urban and rural communities alike, people are let down by poor connections, dropouts and slow speeds. Take our broadband speed test to help us build a picture of speeds across the UK and together we can fix bad broadband. There’s nothing more annoying than your favourite TV show constantly buffering thanks to a slow connection, or your internet cutting out while you’re desperately trying to finish your online shopping. Six in ten people have suffered problems with their home internet in the past year, and the majority are frustrated as a result. Over a third of them were stopped from carrying out their online activities, and some even said it cost them money! Providers draw us in with all-singing, all-dancing connections, yet many people don’t get the speeds they need to complete even the simplest of tasks. And customer service from the bigger providers is consistently rated poor. That’s why we need you. Use our free speed checker tool to help us build a picture of the speeds and problems people actually face across the country. We’ll also give you your broadband vital statistics, a comparison with others in your area, and help you complain if you’re not happy. Together we can fix bad broadband and get everyone better connected. 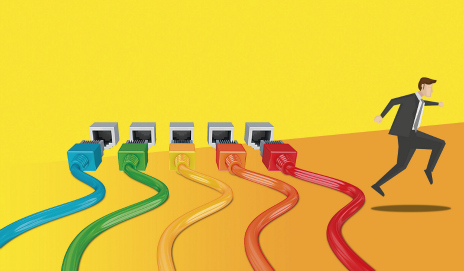 Use our broadband speed checker to see whether you’re getting a slow service. See what you can do to boost your broadband speed. See what your broadband provider can do to resolve your issue. Ask your provider to check whether your access line speed is below your minimum guaranteed speed. If you don’t get a satisfactory solution from contacting your broadband provider, it’s time to make a formal broadband complaint. If your broadband provider cannot address your concerns it might be time to consider switching broadband providers. Following pressure from our campaign, providers must now give better information about speeds to new customers. Broadband suppliers are being forced to drop the unrealistic up to speeds they advertise following rule changes. A study by Which? has revealed the best and worst broadband speeds in the country. We found the worst performing areas, broken down here by local authority, were all located in Scotland; Orkney Islands, Shetlands and Highland. The bottom five is completed by Ryedale in Yorkshire and Purbeck in Dorset. Tamworth in the West Midlands enjoys the fastest broadband followed by Reading, Adur in West Sussex, Enfield and Dundee City. You can find out more about our study by visiting our Consumer Insight Broadband Speeds page.